This post was sponsored by Intel. All thoughts and opinions are my own. 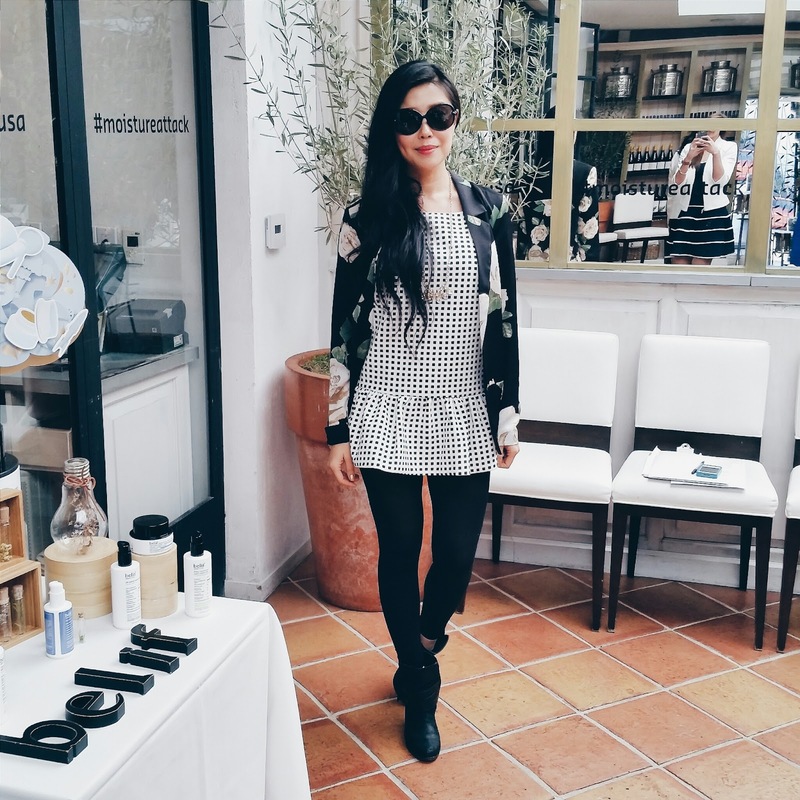 The life of a blogger is entrenched in dichotomy as I'm either at home in PJs typing away or zigzagging through LA shuffling from meetings to events. And on days I'm out, I usually bring my laptop with me so I can work during downtime. On those days, my office is the nearest Wifi powered cafe. 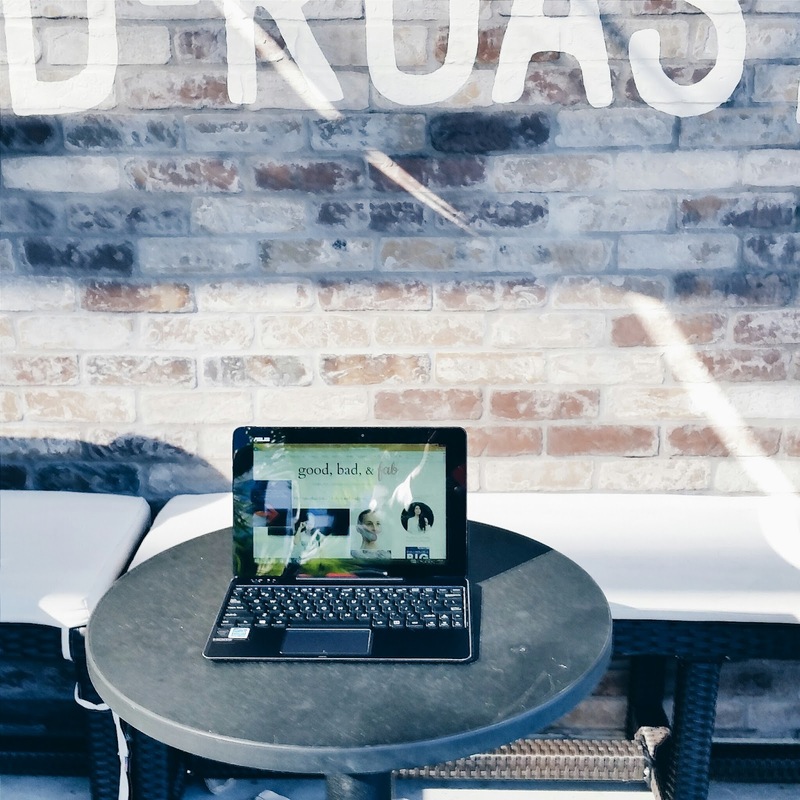 A few weeks ago, I switched out my laptop for my Intel powered ASUS Transformer Book Chi as I wanted to try out the versatility and functionality of a 2 in 1 detachable tablet and see if I could survive both indoor and outdoor days without a laptop. Here's what went down. The detachable keyboard is definitely a power play. 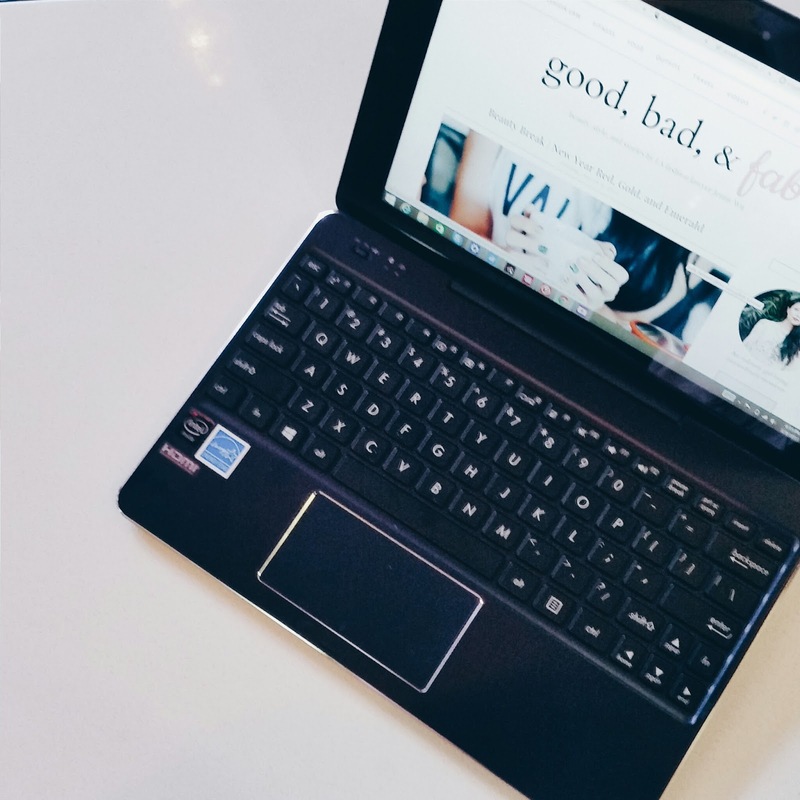 As a blogger and a lawyer, I type all day, every day, and there's no way I can hit above 100 WPM on a touchscreen! I spent the morning working on a new blog post. No difference in work output between the tablet keyboard and my laptop. Yay. 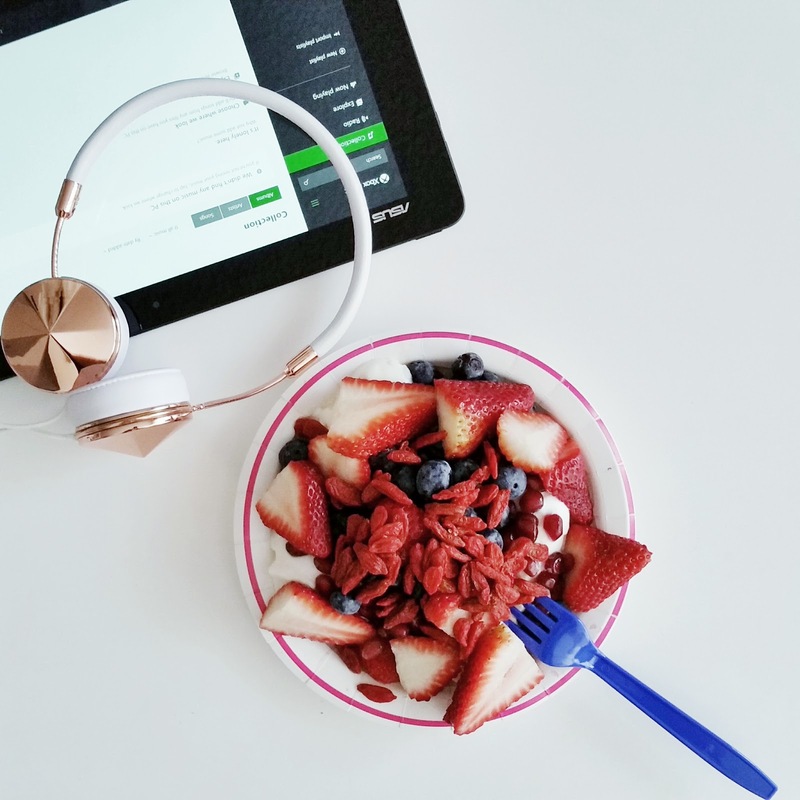 While eating my daily lunch of protein smoothie and bowl of fruit, I used the tablet to scroll through my favorite celebrity gossip site while psyching up for festival season by playing my Coachella 2015 playlist. The sound quality on the tablet is festival quality. 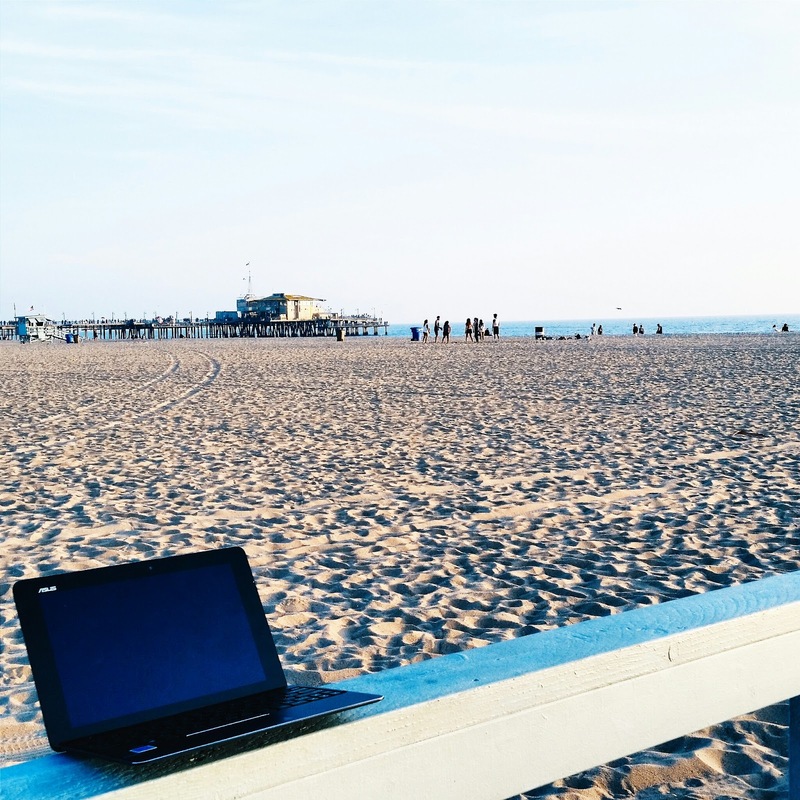 I needed some Vitamin D so I sneak out to the beach and took my tablet with me to work al fresco while watching the sunset. A change of scenery always gets the creative juices flowing! It's much easier to work in bed with the ASUS as it's lighter than my laptop and doesn't strain my back. I do a bit more work before getting distracted by by group chats on WhatsApp and Line (two built-in apps). I start to doze off after reading a few articles bookmarked to my Reading List. The compact tablet size comes in handy as I'm able to stuff it in my purse without having to carry around a laptop bag on a busy day of meetings and events. 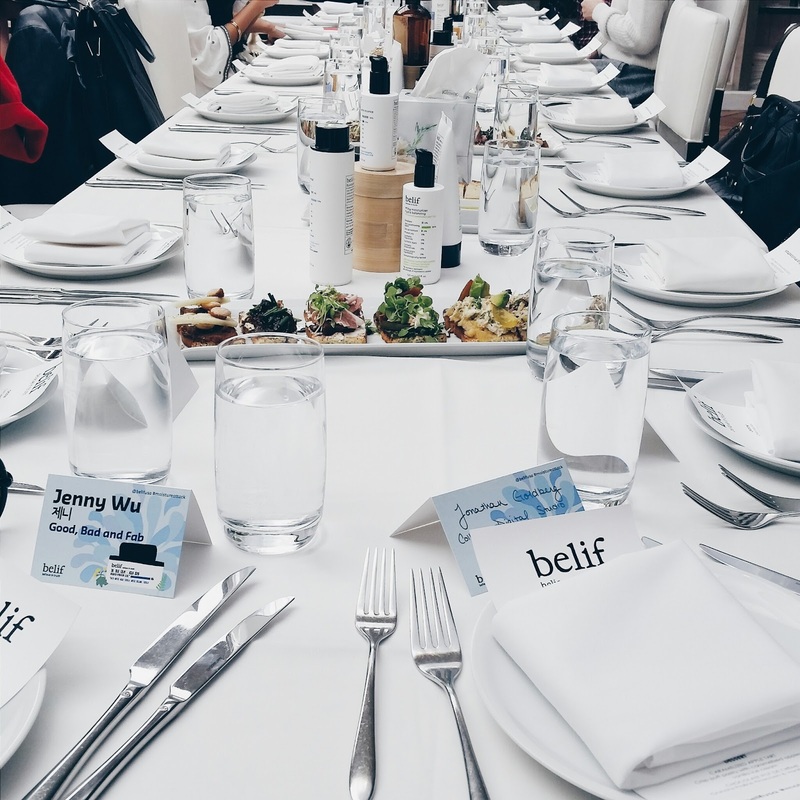 I have lunch at Fig & Olive with new Korean skincare line Belif. 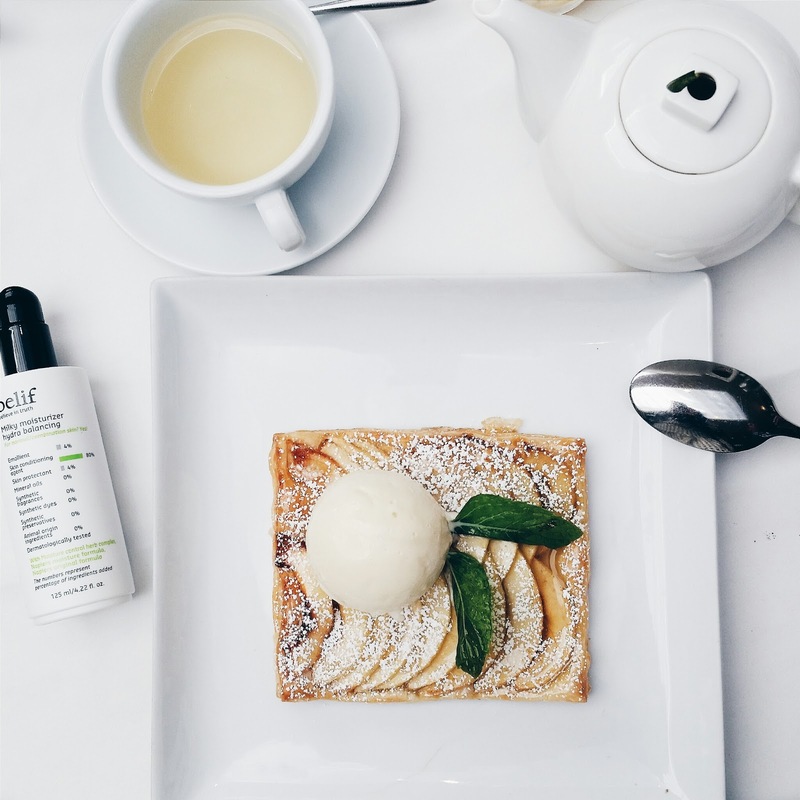 They just launched in Sephora! Afterwards, I walk over to a cafe nearby, take out my tablet and start working. I love not having to go to my car to pick up my laptop. And with all day battery life, I don't need to bring a battery charger. The transition is seamless. Not a moment wasted. At a pitch meeting, I bring out my tablet to show high resolution photos as visual examples of concepts and ideas and use Microsoft Word to jot down notes. I love the app meets Windows hybrid as it truly operates as both a phone and a laptop. I never use laptops at meetings as it feels anti-social hiding behind a screen. The tablet, on the other hand, is essentially a giant phone. While brainstorming blog post and video ideas at the nearest Coffee Bean, I scroll through the tablet seeking inspiration on Pinterest. It's like reading a magazine. 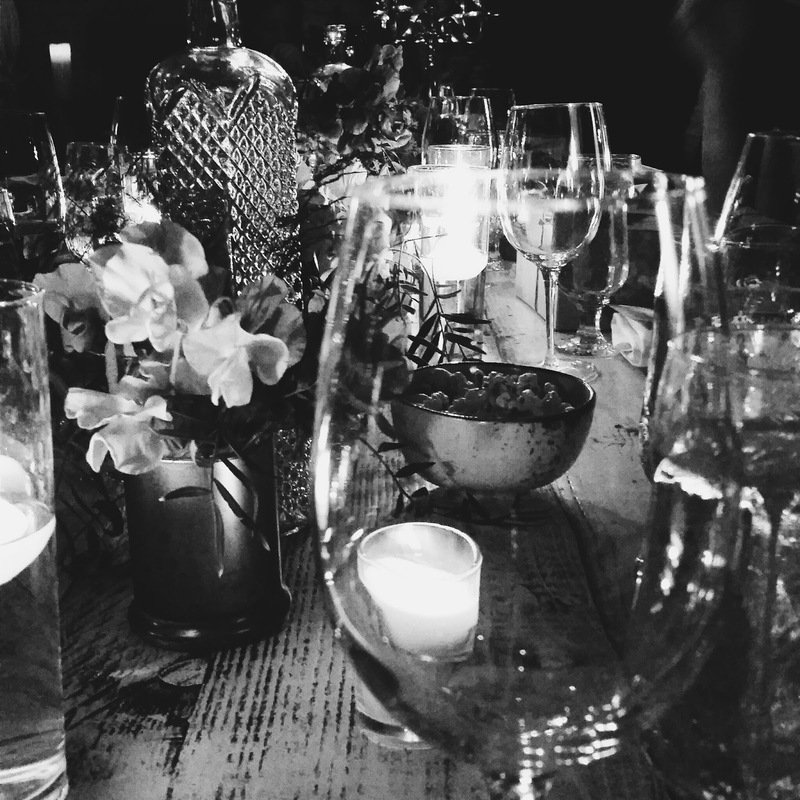 I end my night with dinner with new fashion brand And B at The Church Key. My phone's dead so I use the tablet to social media the experience. 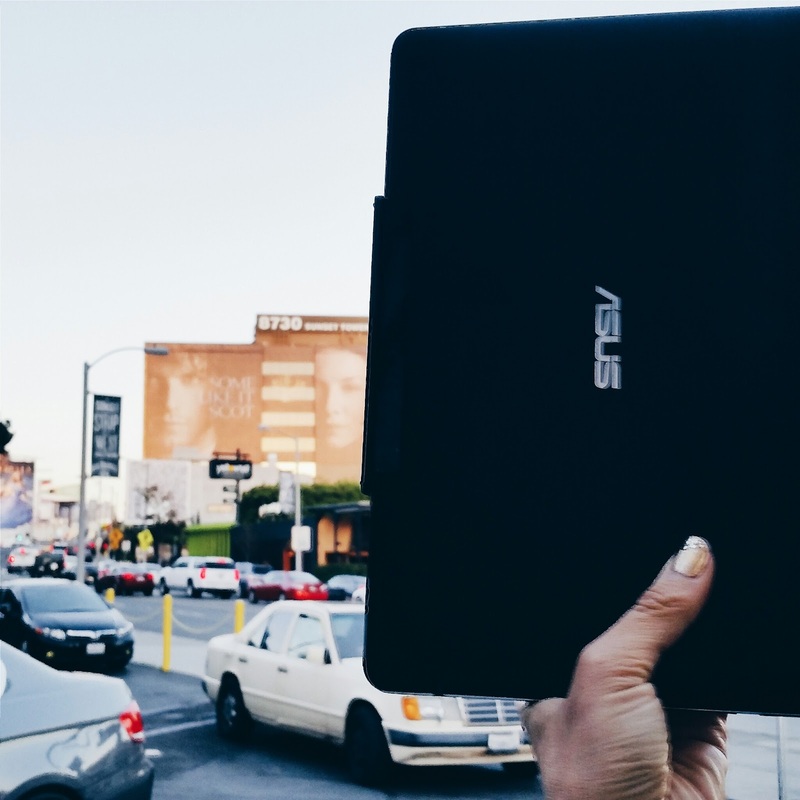 I think I may have found a new bff in my Intel powered ASUS Transformer Book Chi!